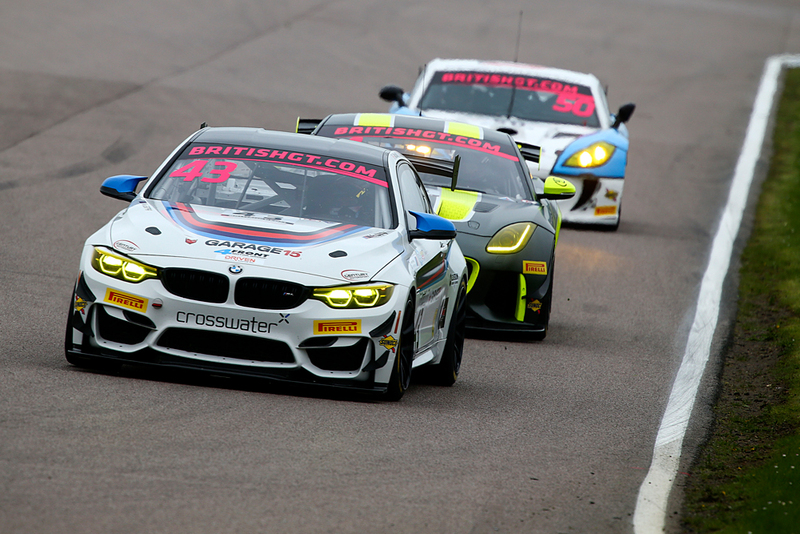 Norway’s Aleksander Schjerpen made his hotly anticipated return to the British GT Championship last weekend in Rockingham, teaming up Century Motorsport alongside Jack Mitchell in the brand new BMW M4 GT4. Having enjoyed significant success over the last number of years with the British team, Schjerpen felt as if he was coming home on his return to Century and was looking forward to the challenge that lay in store aboard the rapid German challenger. Unable to take part in any pre-event testing, Schjerpen completed his first laps in the M4 on Saturday morning during Free Practice 1 and 2. With Mitchell having already taken part in the opening weekend at Oulton Park, he was able to afford Schjerpen the chance to take on the majority of the running during the morning. However, unusually for the Corby based round of the championship, rain had descended upon the area, making the task of learning a new car all the more difficult. Clearly improving with every lap, Aleksander’s times tumbled with every tour as he edged closer to his teammate. 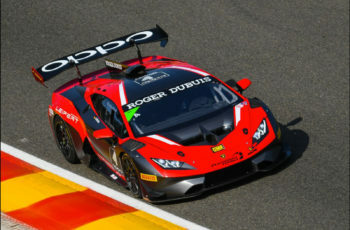 With rain continuing to fall on the unique speedway themed circuit, sufficient to continue on wet weather tyres, Schjerpen was first on track for the two-part British GT qualifying format. As his learning of the new BMW continued, his final lap was his best effort, securing the 11th best time in the session. Combined with Jack’s best lap from his 10-minute shoot out, the pair were set to line up 11th on the grid amongst the GT4 runners before a post session penalty for a flag infringement dropped them a further three places. Sunday morning greeted teams with marginally brighter conditions, but also the prospect of a dry afternoon’s racing. Completing a drama-free morning Warm-up, the scene was set for a strong two hour race kicking off just after 1pm local time. Aleksander started the race for the #43 duo and pulling up to his grid box it looked as if track conditions were about to take a turn with light rain starting to fall. As the lights went out to start 120 minutes of battle at Rockingham, the incoming precipitation amounted to little more than making track conditions greasy, but still favouring slick racing tyres. Initially maintaining his starting position, Schjerpen slipped back slightly as he guided his BMW M4 around a now very greasy circuit. However the first of a staggering four Safety Car periods on lap eight was the start of his progression back up the order. Just into the second hour of racing, Schjerpen dived into the pits handing the car over to Jack Mitchell to complete the race. With a 10 second success penalty to take carrying over from the last round in Oulton Park, it was an agonising wait in the pitlane after a slick pitstop from the Century crew. However as Jack returned to the circuit, the third of four Safety Car periods had just begun. Jack found himself out of position meaning he had now effectively lost a lap due to where the Safety Car picked up the leader, almost wiping out any chance for the young star to propel the crew up the order. 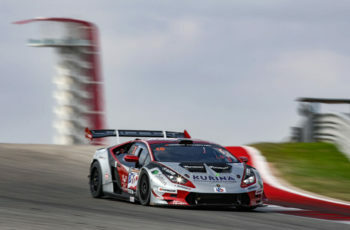 Despite this, when racing resumed he put in a strong stint, improving the crews best lap time in the process before eventually completing the race in eighth position amongst the GT4 Silver-Silver crews. Snetterton, Norwich, UK – Sunday 27th May 2018.